Keeping the heat out of your home, especially when living in a dry, desert climate like California, can add a tremendous amount of stress to your air conditioner. It’s not the issue of whether you spare a few hours without air conditioning, but rather how does one keep up with the upkeep of an overworked air conditioner. Extreme heat means your air conditioner is running constantly to keep your house cooler, and the older the air conditioner, the faster it will wear down. A good place to start is to make sure your air conditioner is working correctly. An air conditioning unit that’s constantly running in extreme heat generally means problems are more frequent to happen. Sometimes it’s difficult to find the culprit, however, and because of that, damaged air conditioners are left untreated until they break down. To avoid the costly repair, here are a few warning signs to look out for. Dirty filters. Over time, the filters inside the air conditioner collect dust, dirt, and allergens. Filters should be cleaned at least once a month, but because of the extreme heat, these filters collect dust and debris faster than normal. When the filter becomes clogged, the air conditioner has to work even harder to keep your house cool. Cleaning filters is one of the easiest and effective ways to maintain your air conditioner. Unwanted moisture. If you find your air conditioner is leaking, there could be a serious problem. The air conditioner could be leaking refrigerant, which is a health hazard that requires a professional technician to repair your unit immediately. Water pooling adjacent to your air conditioner; however, could mean the drain tube that removes condensation is either blocked or broken. A damaged drain tube is not as serious of a problem but should be taken care of within a reasonable amount of time as to avoid mold. Strange sounds and odors. Squealing, grating or grinding sounds imply something inside the unit needs to be replaced. A squealing sound could mean the belt slipped out of place or a metal component needs more lubrication. If you hear grinding, the unit’s motor bearings might be broken. If something smells foul, the wire insulation may have burned out. If something smells musty, there could be mold inside the air conditioner or ductwork. For homeowners who live in extreme heat climates, it’s especially important to keep up with maintenance. 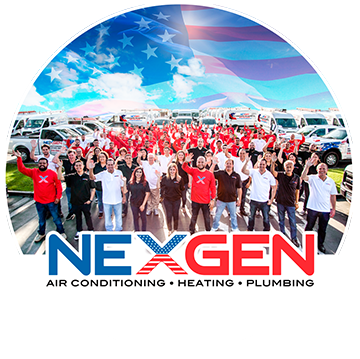 Routinely cleaning and repairing your air conditioner not only extends the unit’s lifetime, it helps keep it running efficiently. Routine maintenance for your air conditioner isn’t the only method to keep your house cool, however, as habits and other appliances can impact the temperature inside your home as well. The good news is how much you can do to keep your house cool under extreme heat conditions. Don’t confuse your thermostat. Make sure to keep any appliances that emit heat away enough from your thermostat. A thermostat that senses heat generated from a lamp or TV nearby can result in your air conditioner running longer than necessary. An accurate thermostat will help keep everything running efficiently. Keep out plants and other debris. To maintain adequate air flow, it’s important to keep all plants and debris at least two to four feet away from the air conditioning unit. Building a fence around the air conditioner can help to keep shrubs, tree branches, and other bigger plants away. Keep your air conditioner cool. Whether it’s inside or outside the house, it’s important to keep your air conditioner in a cool, shaded space, away from direct sunlight. Installing it on the shady side of your home, or using shrubs or a fence to provide shade, can help your air conditioner run more efficiently. Keep as much of the sun out of your house. Open windows are an invitation for extra heat to come in, that’s why it’s beneficial to always close curtains that face the sun. Installing thermal liners in your curtains also helps to reflect some of that residual heat out the window. Windows with a residential tint film will help to cut off sunlight significantly. Monitor your habits and appliances. A lot of activities, such as cooking, showers, and laundry, can generate heat. To keep your house cool, try cooking outside as much as possible. Avoid using the oven, and when using the dishwasher, let your dishes air dry versus using the dry cycle. Shorter showers with proper ventilation will also help keep the humidity down. If possible, hang dry your laundry outside or avoid using the dryer during peak daytime temperatures. Maintain a good air flow. Good air circulation helps your air conditioner to run smoothly as well as keeping that cool air running through your home. Closing doors to unused rooms, closing closets, moving furniture, and using fans all help to keep a good air flow inside your home. Nothing is more devastating or costly to a homeowner than having to live inside their home without a functioning air conditioner. Routine maintenance and energy efficient habits are important to maintain your air conditioner, but it’s also crucial to have an HVAC contractor perform yearly maintenance. If there is ever something wrong with your air conditioner, a professional HVAC contractor can diagnose the problem. By providing you with the most effective solution, they can help keep your air conditioner running efficiently and longer.